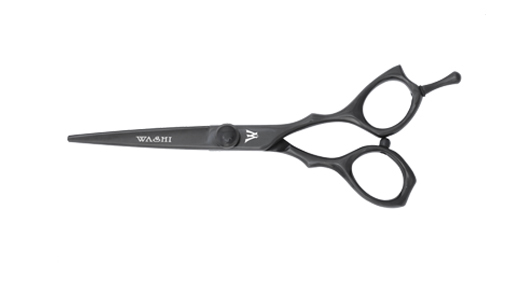 This attractive hair shear features a true ergonomic handle. The thumb ring bends down and the finger ring bends up. Greater comfort for a smaller hand. Impressive performance. Available with a matching thinner.